WEST PALM BEACH, Fla. — CityPlace, the center of entertainment in downtown West Palm Beach for almost two decades, is getting a new name: Rosemary Square. 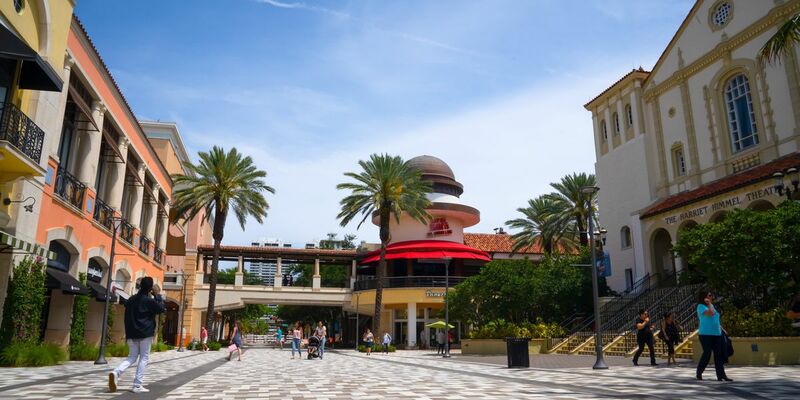 According to a new release , a five-year, $550 million investment will "transform CityPlace from a retail and entertainment center to a vibrant community and destination known as Rosemary Square." The 72-acre Rosemary Square neighborhood transformation is set to offer more residences, retail, a new hotel and more arts and cultural programs. On Saturday, the new "Main Street" of the neighborhood debuted on Rosemary Avenue between Okeechobee Boulevard and Hibiscus Street. The area now features wider, curbless sidewalks along with new landscaping. This summer, a 300,000 square-foot office building called "360 Rosemary" will break ground, creating 6 million square feet of office space. Over the next five years, Rosemary Square developers say they will also add a 21-story, mixed-use tower to include luxury residences and commercial space, along with a second hotel adjacent to the Hilton West Palm Beach. CityPlace opened in 2000, revitalizing an area of downtown West Palm Beach that had been a center of high crime.